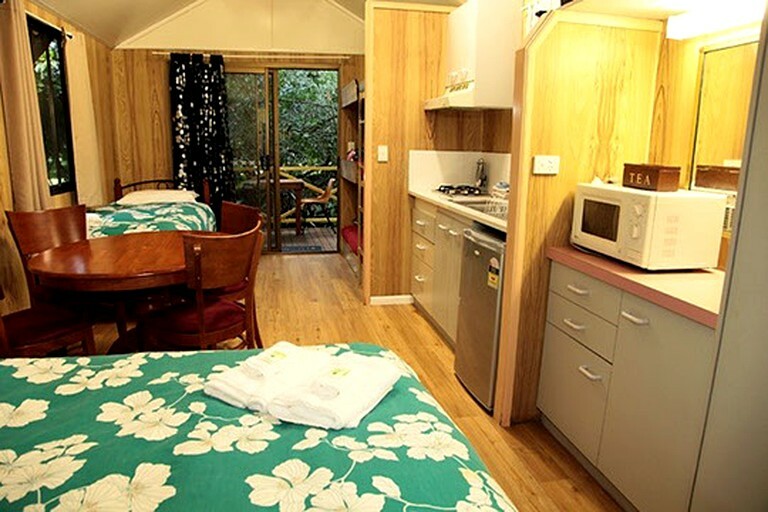 This pet-friendly getaway is located near Cairns in Lake Eacham, Queensland, and can accommodate five guests. 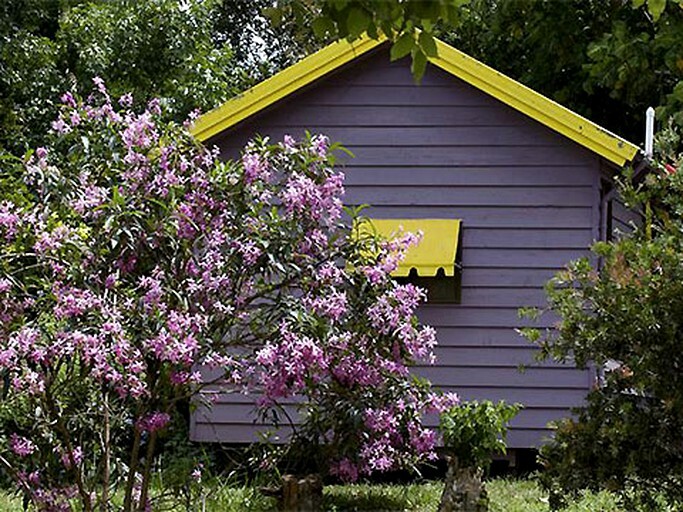 This studio cabin has a full private bathroom. The room features a double bed, a twin bed, a set of twin bunk beds, a dining table, and a TV. In the full bathroom, guests will find a sink, a toilet, and a shower. Linens and towels are provided. The fully-equipped kitchenette comes with a two-burner gas stove, a mini-fridge, a microwave, and a tea kettle. Other amenities include Wi-Fi, air conditioning, insect screens, and parking. This rental includes complimentary Wi-Fi, a shared telephone, and parking. For entertainment, guests will find a TV. No matter the temperature outside, guests can stay cool with the air conditioning. Outside, guests can have a BBQ on the grill or the wood-fired oven while enjoying the fresh air and then roast marshmallows over the fire pit as the stars begin to twinkle in the night sky. Guests can purchase basic groceries at the on-site store and cafe. Birdwatching enthusiasts will want to check out Crater Lakes National Park, one of the world's most spectacular sites for birdwatching. Glampers can also go hiking and mountain biking along the scenic trails or enjoy a refreshing swim in the crystalline waters. The surrounding rainforest is also spectacular for wildlife viewing, with animals such as the quirky platypus found along Petersen Creek and tree kangaroos. Lake Tinaroo is a great destination for barramundi fishing, boating, and kayaking. Local guides offer ecotours through the rainforest and with such a versatile terrain, glampers can take advantage of horseback riding, mountain climbing, and even caving all within a 30-minute drive. Guests can browse several weekend markets, as well as charming art galleries and tasty restaurants. 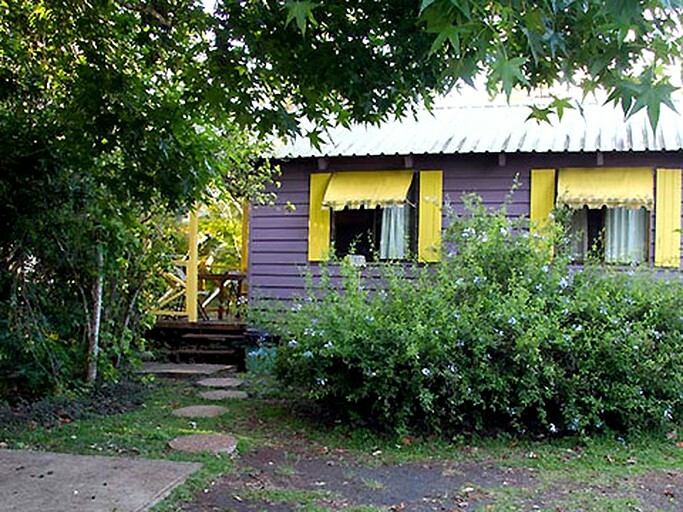 There are plenty of local attractions for fascinating sightseeing, such as the Curtain Fig Tree, Lake Tinaroo, and the historic Malanda Village.